To All My Firecracker Friends. First of all, I’m wishing everyone a happy and safe 4th of July weekend. Looks like a lot of live entertainment will be available, so go out and enjoy some. My wife Pam and I just came back from the Palatine Jaycees Hometown Fest, where local band Donna Matrix was entertaining with an interesting mix of alternative rock covers and the occasional original tune. Make Mine Whiskey. While we were at the Palatine Jaycees Hometown Fest, we also saw an information table for the Blue Whiskey Independent Film Festival, which will be coming back to Cutting Hall in Palatine for its second year. 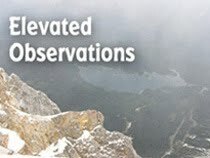 The festival runs from July 19th - 24th, and will screen several films. I hope to have more about this in the coming weeks, but in the meantime, check out the for all the info. Robot On The Loose. The Handcuffs’ release party for their third CD, Waiting For The Robot, will be on July 30th at The Abbey Pub. Penthouse Sweets and The Blissters are also on the bill. Prior to that, the band will visit downtown Springfield, IL on July 8th to perform at The Miller Lite Live American Music Show. Wonder if lead vocalist-guitarist Chloe F. Orwell will pop into the state capitol and give the pols a piece of her mind. On July 10th, The Handcuffs return to Chicago for a gig for at The Roscoe Village Burger Fest at 1:30 PM. IPO For Your Stereo. 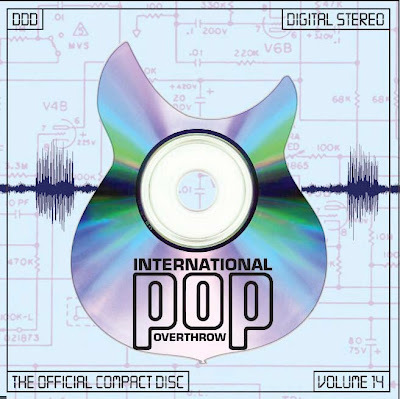 International Pop Overthrow founder and CEO David Bash has posted the first six songs from the upcoming CD International Pop Overthrow Volume 14 on his MySpace page. The disc will offer songs from bands who have performed at Bash’s showcases of power pop and indie rock in North America and the U.K. The catchy tracks from The Turnback, The Reunion, The Carousels, and others offer an enticing preview. As Bash noted on Facebook, Volume 14 will be released in time to be sold at International Pop Overthrow - Los Angeles, which will run at various clubs from July 29th through August 13th. Some of the acts scheduled for IPO- L.A. include Lannie Flowers, The Singles, The Tearaways, Maple Mars, Sparkle*jets UK, Jeremy, and of course, Dave Rave. Button Envy. This bit goes out to Boris, who, like me, was a regular at the Harlow’s club on Chicago’s southwest side back in an earlier century. Boris always wore his amazing collection of rock and roll buttons while checking out bands like Cheap Trick, and even came to a Halloween party at the club in a button costume. Anyway, The Go-Go’s have a really cool package containing two Beauty & The Beat 30th Anniversary buttons and a Go-Go’s guitar pick for $7 on their website. Deep Space Rosemont. Cyphan 2, a convention featuring costume contests, celebrity appearances, a dealer hall, dancing, and a film festival, will be held at the Hyatt Regency Hotel in Rosemont July 29th - 31st. Special guests include Richard Hatch, Herb Jefferson, Jr., and Dirk Benedict from the original Battlestar Galactica; Nicki Klyne and Jack Stauffer from the newer Battlestar Galactica; Robert Picardo from Star Trek Voyager; Chase Masterson from Star Trek: Deep Space Nine; and Jason Carter from Babylon 5. Tickets start at $30 for a single day pass, and kids under 12 are allowed in free. Various special offers and three day passes are also available. Go For Baroque. The Second Disc online newsletter recently reported that the first two albums by the original baroque pop artists The Left Banke, Walk Away Renee/Pretty Ballerina and The Left Banke Too, will soon be available on the Sundazed label. This will mark the first time they’ll be on CD in their original configurations. Power & The Passion. The Rock And Roll Hall Of Fame has a special weekend planned for July 8th through the 10th that will tie in with its current exhibit, Women Who Rock: Vision. Passion, Power. The event will include film screenings, live bands, and a behind-the-scenes look at the Women Who Rock exhibit, which covers female musical artists from the 1920s through today. Bye Bye Love, Hello Edan. Back in April, when The Abbeys played an afternoon gig at International Pop Overthrow - Chicago, band members Mike Cohen and Jeff Janulis told me they were excited about the possibility of working with producer Edan Donald Everly on their next CD. Edan, who’s the son of Don Everly of The Everly Brothers, sounds like a perfect choice since Cohen and Janulis create great harmonies on their original material, and also have a 1950s/60s cover band called The Everly Hillbilies. Looks like a done deal, judging from a recent Facebook post from The Everly Hillbillies stating, “Picking out songs for our new Abbeys record...with a little help from our friend/producer Edan Donald Everly! Psyched!” Congratulations. Never On A Friday. The Neverly Brothers, the entertaining trio that covers rock and roll from the earliest days of Elvis, The Big Bopper, Roy Orbison, and the Everly Brothers through the mid-1960s material of The Beatles and The Rolling Stones, will be performing in my hometown of Palatine next Friday, July 8th, in the Fred P. Hall Amphitheater. The show starts at 8:00 PM. The Lizard King Goes To School. Also in Palatine, Tributosaurus, the Chicago based group that uses a rotating cast of musicians to recreate famous music acts, will become The Doors during a concert at Harper College on July 14th.